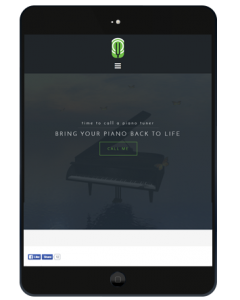 This web design in Emsworth, near Chichester was a simple clean website project to promote a Piano Tuning Service. The brief was to keep it simple, direct and visual. 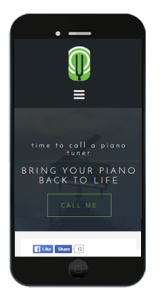 All the other local piano tuning websites seemed to have no visual appeal. This was an opportunity for Ebb and Flow Creative to exercise creativity and a bit of fun. 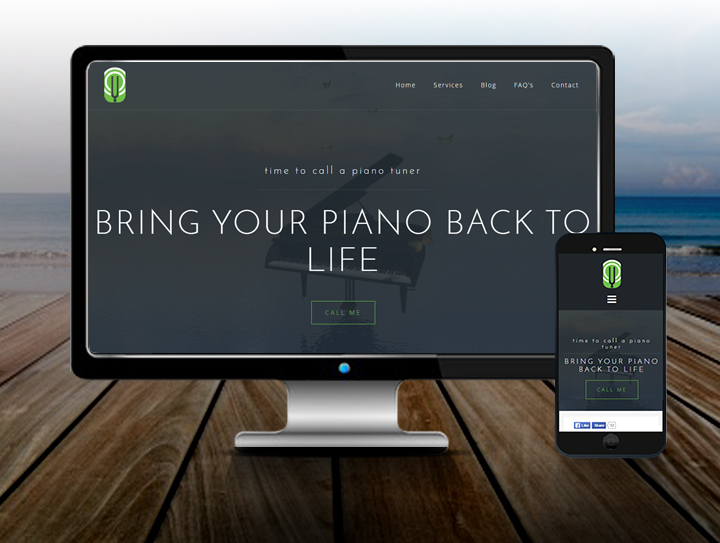 A fresh looking logo was created along with a good website for desktop, tablet and mobile. The mobile view looks particularly good. This site reached page 2 on Google on the second day of launch. The Google Adwords advert is on page 1.